Even if you take the best care of your car or truck and keep it in the best running condition possible, things can still happen to you. You can accidentally leave your lights on and the battery runs down. You can hit a pothole and end up with a flat tire and mangled tire rim. You may run out of gas before you can get to the next service station in the middle of the night. There are countless other scenarios that can occur that can leave you stranded with your vehicle and in need of help. When you are facing a situation like this, it is important to know that you have a place to call if you need Granada Hills towing – LA County Roadside Service. 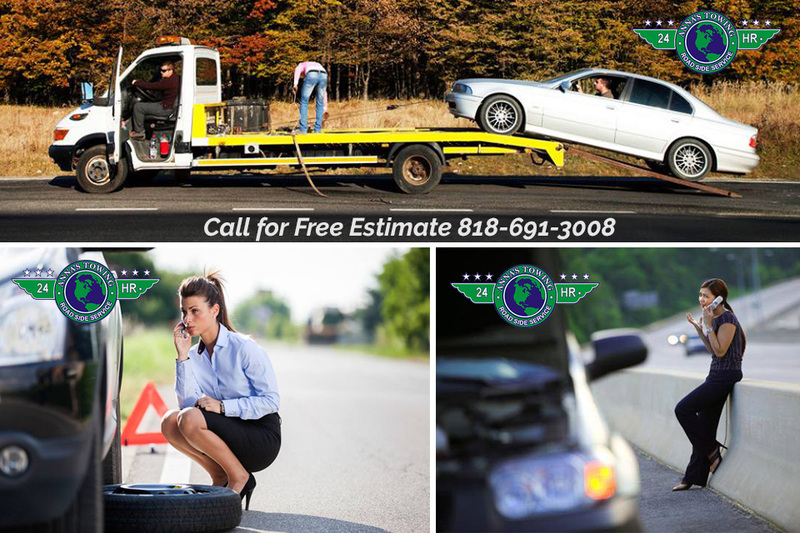 We never think much about a towing service until an emergency arises and we actually need one. Usually, by that point, we are so stressed and panicked that we do not know where to turn or whom to call. That is why it is always a good idea to have a service in mind that you can use. At LA County Roadside Service, we can always be there for you when you need help. We have been in the towing business for over ten years and have helped many customers like you when they are stuck or stranded. Our service is available 24 hours a day, seven days a week, 365 days a year so you can always get us and get the help you need in a pinch. At LA County Roadside Service, we can provide all of the Granada Hills towing services that you may need. We can help you with things like changing a flat tire, giving your battery a jump start, getting you gas when you have run out, helping you get into a locked car, providing flatbed towing services or heavy duty towing for large vehicles, and much more. We even have winching services so that we can help you when you are stuck in the mud or off in a ditch. If you want to avoid getting stuck with your car and not knowing where to turn, make sure to keep our Granada Hills towing number handy, so you always know whom to call. You can reach us at LA County Roadside Service by calling 818-691-3008 at any time, day or night, to get the help you need. Give us a call when trouble arises so we can help you take care of your vehicle safely.